Inbound marketing is something that most small business owners have heard of but few have implemented. But for those who do take the plunge, many are experiencing a more cost effective and successful form of marketing. Unlike traditional outbound marketing where you push yourself on potential customers, inbound marketing is better aligned with today’s buyers who research solutions before they speak to a brand. Using inbound marketing enables you to build rapport and trust with those who want to purchase your products and services. Inbound marketing is a marketing strategy that uses content to attract your ideal prospects to your business. The goal is to pull your prospects to you using online activities such as social media, search engine optimization and content marketing to generate warm leads. These prospects find your brand primarily through search, looking for information they need to solve a problem or fulfill a need. The activities used are focused on expertise, authority and trust. Buying decisions, both consumer and business, have evolved where they begin with an online search. When a prospective customer finds your business through inbound marketing, the useful information you provide gives them a different perspective about your company. Build brand visibility by developing informational content that attracts the attention of those looking for the product or service you offer. Generate warm leads because they find your content when they are most interested. Develop and nurture relationships with these prospects through additional quality content and online conversations. Build your own, permission-based email marketing list. Develop an expert reputation in your field, putting you in a position of authority and trust. For most small businesses, adding inbound marketing activities to your marketing plan is important to acquiring long term, loyal customers. Employing inbound marketing enables you to engage in marketing tactics that cost less and are more effective than traditional outbound marketing tactics. According to Hubspot, not only is the cost per lead is 62% lower than leads generated by outbound marketing, inbound marketing tactics have a higher ROI than outbound marketing. Inbound marketing attracts the right audience to your business like a magnet and connects with them more effectively. Most buyers today research the products and services that they need long before contacting a business. If someone is spending the time reading your blog, downloading your white papers and joining your email list, they are making a commitment to your brand. When you build brand loyalty, these warm prospects are more likely to contact you when they are ready to buy. When you provide useful information, solve a problem and answer questions with no strings attached, you develop a more personal relationship that helps them decide whether to do business with you or not. When you continually push your sales pitch at people who may or may not be interested, they ignore your business and consider you an annoyance. For many small businesses, reaching a broad audience was unattainable due to the cost. Attracting potential customers to your website with quality content can help small businesses reach a broader, more geographically dispersed audience. If your business can service customers nationally or internationally, inbound marketing is a must for your business. Even local businesses benefit from inbound marketing, especially those who provide home improvement and major renovation services. 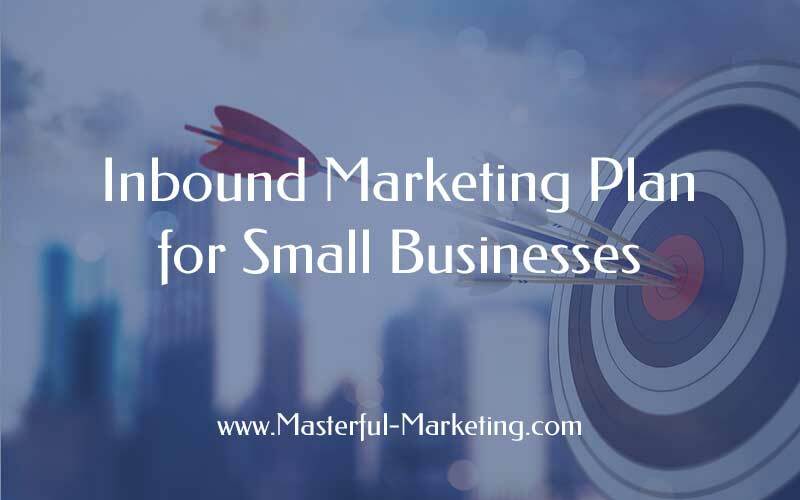 Now that you understand what inbound marketing is and how it can help your small business, it’s time to figure out your inbound marketing strategy and develop your inbound marketing plan. The following framework can be used as the base template for your plan. Remember that your marketing plan should be a living document that gets reviewed every 90 days to be sure it is working and that new market conditions haven’t come into play. If you create a plan and never look at it for the entire year, you will waste a lot of time and effort. Your marketing goals should define what you are trying to accomplish. It is not a vision but measurable outcomes that you want to accomplish over the next 90 days or so. Measurable outcomes can be number of leads generated, leads converted into customers or revenue. By setting marketing goals, you can then organize your marketing activities around each goal to see if each is contributing to the outcome. A web presence analysis is an exercise that helps you determine how your business is viewed when someone searches for your products and services. In many cases, small businesses don’t know what is on the Internet about them or if they can be found at all. If you haven’t searched for your business to see what is there, you could have some negative surprises waiting for you. If you don’t know how your business is perceived, it is difficult to determine what marketing strategies you need to help your prospects find you. Never underestimate the importance of defining your ideal target audience. Knowing who you want to work with and understanding the needs of this unique group of people or businesses allows your business to provide tremendous value to those who need it the most. Intimately understanding your ideal client means you know with certainty what problem they are trying to solve or what need they wish to satisfy. Being focused on one particular market enables you to make better choices for all of your marketing efforts. 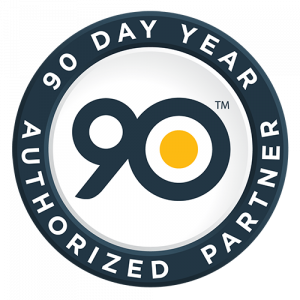 This saves you time and money on activities that don’t make sense for your business and the clients you serve. Inbound marketing involves the strategic use of content, social media and search engine optimization. Each of these areas needs a strategy that align with your goals. Each of these activities are critical to the overall success of your marketing efforts. Content marketing is the offer you make to those researching a solution. Social media is a channel to deliver your content to your audience. Well-written optimized content is critical to a successful search engine optimization strategy. What type of content will you create for the various stages of the buyers journey? Who will develop this content and share it? What is your content distribution strategy? Which social media tools make sense for your business? 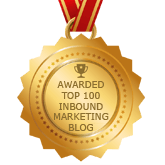 How will you leverage each one to drive inbound leads? How will you respond and engage those who share, comment and connect? How do people search for your products and services? What keywords will you use to optimize your content? How will you build a relationship with each person that signs up for your email list, subscribes to your blog, likes your Facebook page, joins your LinkedIn Group or follows you on Twitter? What type of content will you provide at what point in their journey? How often will you touch your prospects? How will you determine if your efforts are successful? What are the key metrics you will use to determine success? There is too much distraction online to try to implement inbound marketing without a plan. Putting structure around your strategy helps you remain focused on the goal. Don’t let this exercise overwhelm you. Go through each area and answer the questions. Be practical with what you can do given your resources. As a small business, we have only so much time to devote to marketing, so use that time wisely.